Our company specializes in manufacturing and supplying a qualitative range of Belt Conveyors. These automated system used for carrying material from one location to another. 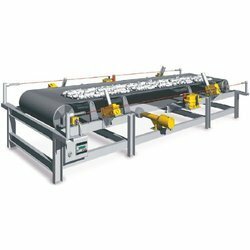 Offered conveyors are open on the carry and return side so that they can be fitted with full radius and have covers on the carrying side to decrease the amount of dust.